these are our client success stories. PIA is a family owned specialist Australian pet insurance company based in New South Wales and servicing customers nationwide. It is a small business competing for space on a 1st page that is mainly populated by much larger multinational companies. When we first met with our client, he made it very clear that he’d been at it for years trying to generate more business from Google, he had tried SEO and had been burnt a few times before and was almost out of all hope. However, after hopping on a free consultation call with us and going through our step by step plan to help him get where he wanted, he was feeling a lot more optimistic and began sharing information crucial for us to begin. Since PIA is a small company compared to the large multinational players in the market who typically have access to huge marketing budgets, we had to think outside the box to create strategies that were highly effective but within tightly a controlled budget. We performed a manual site audit, using a 127-point checklist we identified several issues that needed fixing to improve the performance of the site. We developed the content of the site by adding new relevant and informative pages that provided valuable resources for third parties to link to thereby improving link weight naturally. We outreached to highly relevant blogs that were authorities on subjects that overlapped with pets and pet insurance. We wrote guest posts for their sites in return for natural links back to our client’s site. We identified and implemented internal linking opportunities across the site, especially within the new content, which enabled the value of the newly acquired links to be distributed through out the site, but most importantly providing value to the reader. The creation of new highly relevant pages with great informative content was one area that we feel gave us a big advantage. 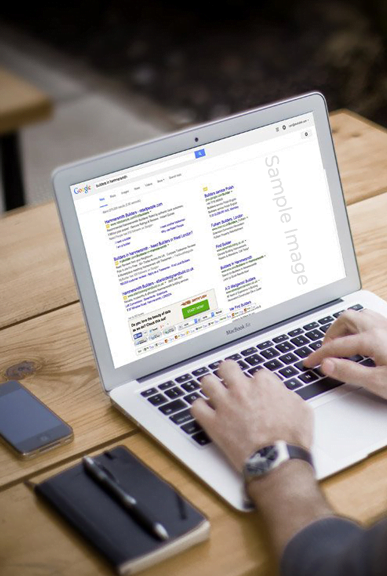 Are you a small business owner struggling to generate more enquiries from Google?